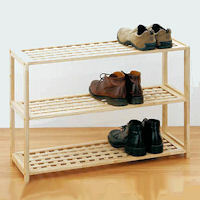 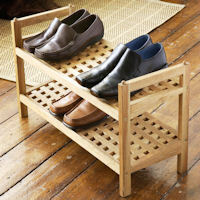 Solid wooden shoe shelf at a great low STORE price. 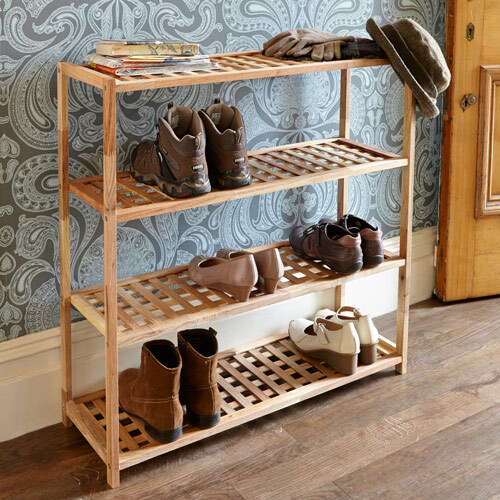 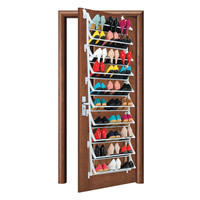 This walnut shoe rack will store up to 20 pairs of shoes over 4-tiers. 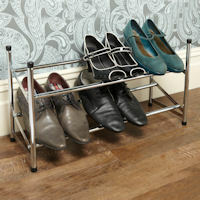 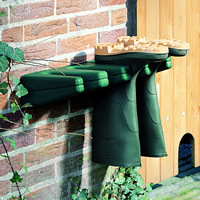 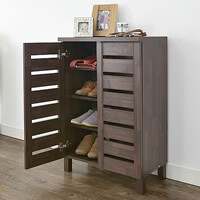 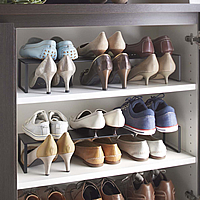 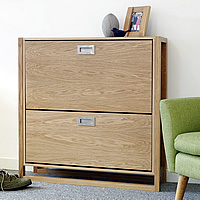 A great clutter-swallower for shoes and boots in bedrooms and hallways etc.